When you think of having a salad, chances are it doesn’t strike you as the most satisfying meal—or one that can actually help you in your quest to build muscle. Actually, a salad can be the perfect meal to support your fitness goals. The key is in balancing protein, fat and carbs. 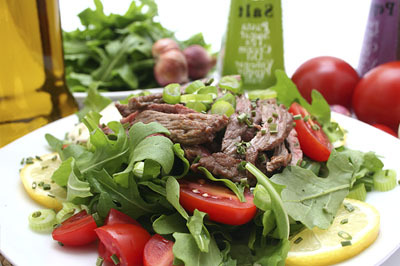 We have three amazing healthy salad recipes that do it just right. 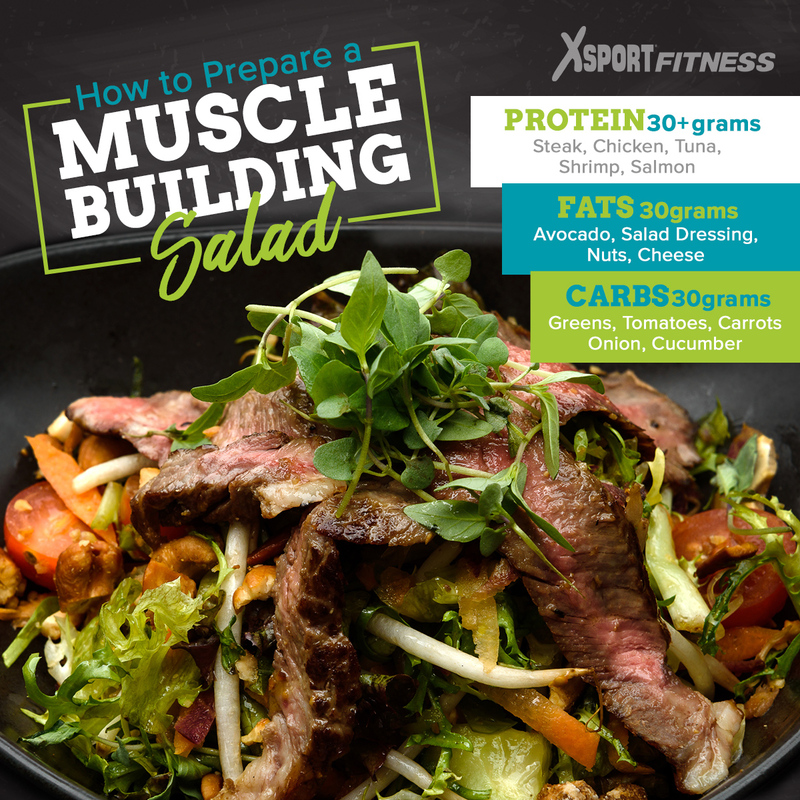 To promote the optimal synthesis for your muscles, we want to start by shooting for at least 30 grams each of protein, fat and carbohydrate as a base salad, leaving room for more protein as desired. The protein and carbs work well together to help you eat healthy and fuel your growth. Carbs spare protein and provide energy needed for intense workouts, and protein needs carbohydrate to work its wonders for you during recovery. The fat in our healthy salad recipes not only support testosterone production, they contribute to flavor in your foods and keep you feeling satisfied. We’re suggesting steak, tuna, and chicken for our salads’ main proteins, but you can feel free to substitute other favorites like shrimp or salmon. The beauty of a salad is that it’s easy to customize. Don’t like chickpeas? Allergic to nuts? Leave them off or switch them out. You’ll love how simple these healthy salad recipes can make the right muscle salad for you! First, boil two small new red potatoes and an egg. Or you can microwave the potatoes as well. Cook until fork tender, then drain and cool. Hard boil a large egg, drain and cool.